Everything is coming up roses! This volunteer makes sure children at a local school will always have flowering dreams. Way Back Wednesday! 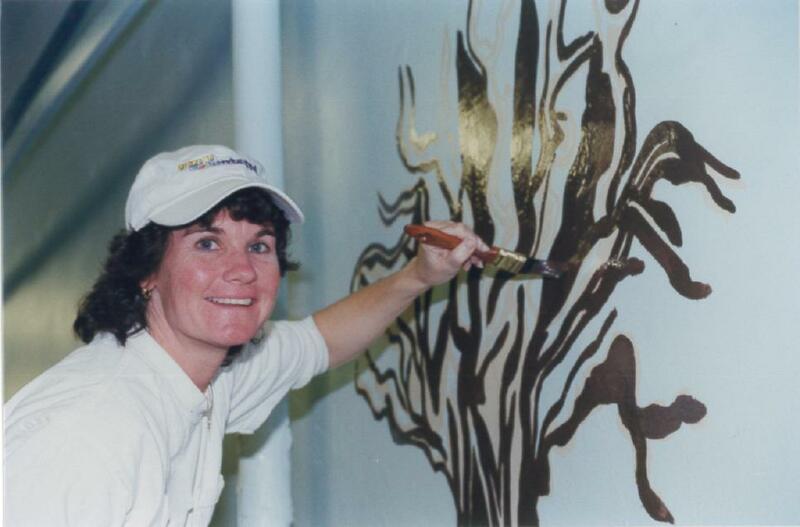 This volunteer really branched out with her creativity while painting this mural. This volunteer did a great job beautifying our neighborhood! AmeriCorps Week: Way Back Wednesday! My journey with Jersey Cares began in September 2010 as an intern. When I first came in the office, I was inspired by the work that was being done, but also a little out of my element. Every day was new challenge and experience; a new part of New Jersey to discover, a new agency to meet, a new volunteer group to inspire. While I was enjoying being an intern, an AmeriCorps position came up with Jersey Cares, and I jumped at the offer. Starting in November 2010, I was a part of five person Jersey Cares AmeriCorps cohort whose achievements included collecting 35,000 coats in 2010, contributed over 8,700 hours of service through our Monthly Volunteer Programs, doubling the size of Martin Luther King, Jr. Day of Service in 2011, and engaging 2,500 volunteers for Jersey Cares Day 2011. My term of service with Jersey Cares was nearing the end, and the idea of leaving Jersey Cares was a thought that did not sit well with me. I felt that there was so much room for professional growth and knowledge; I knew it was not my time to leave. Around the same time, an opportunity to become a fulltime staff member presented itself and in October 2011, I became the Corporate Service Manager. My role transitioned from planning Annual Events to managing Corporate Service events, and I welcomed the change. The Corporate Service team at Jersey Cares is goal oriented and produces tremendous results. 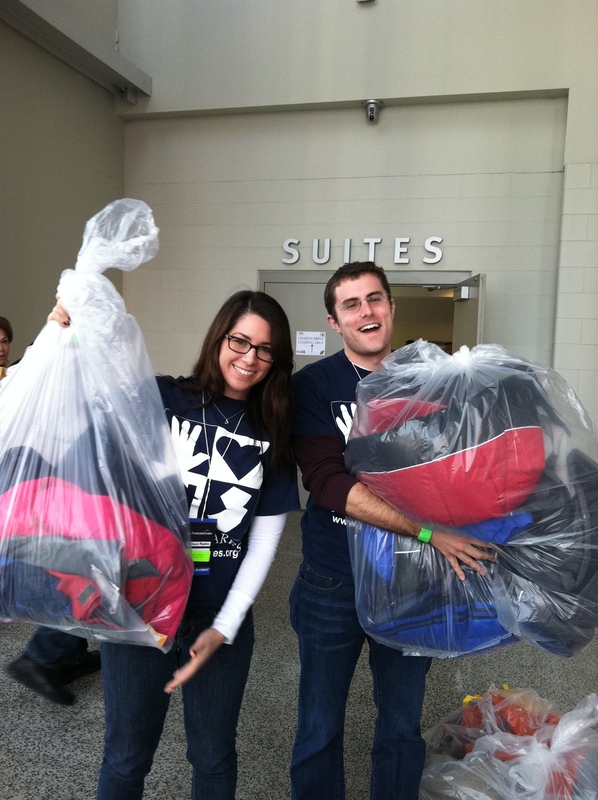 In 2011, we created 135 unique volunteer projects for over 3,000 corporate volunteers that resulted in nearly 13,000 hours of service. At present, the entire Corporate Service team at Jersey Cares are AmeriCorps alumni. In September 2011, Maggie Bernhard joined the Jersey Cares team as the AmeriCorps serving as our Corporate Service Coordinator. Although was new to our team, she was no stranger to the AmeriCorps program. While Maggie was an undergrad, she served as an AmeriCorps with Scholars in Service to Pennsylvania in August 2009 to August 2010. Maggie has brought her strengths and talents to Jersey Cares, and is an asset to our team. In January 2012, Heather O’Loughlin returned to Jersey Cares as the Director of Corporate Service after a hiatus. Heather’s career at Jersey Cares started much like mine. Heather was the first AmeriCorps member to serve at Jersey Cares in October 2007. As a direct result of her commitment to our organization’s mission and service, she was hired at the Corporate Service Manager in August 2008 and continued to increase the capacity of our organization through May 2009. Heather, Maggie, and I are a great team, but we are also kindred spirits because of our service in AmeriCorps. Through our tenure as AmeriCorps members, we learned invaluable skills and will be able to draw upon experiences learned. I am probably one of the few people who can say that they originally joined AmeriCorps for the money. When I was in college, I was offered the chance to apply for Scholars in Service to Pennsylvania, a part time AmeriCorps program for students, where I had the opportunity to serve 300 hours in Allentown, PA. Being involved in community service, I jumped at the chance to get a scholarship for serving my community. My first term of service was so successful that when I graduated from college it made sense to apply for a full time AmeriCorps term. Even though I started my first term of service because of the scholarship opportunities, I chose to serve a second term for the different opportunities and experiences you gain from serving a small non-profit. 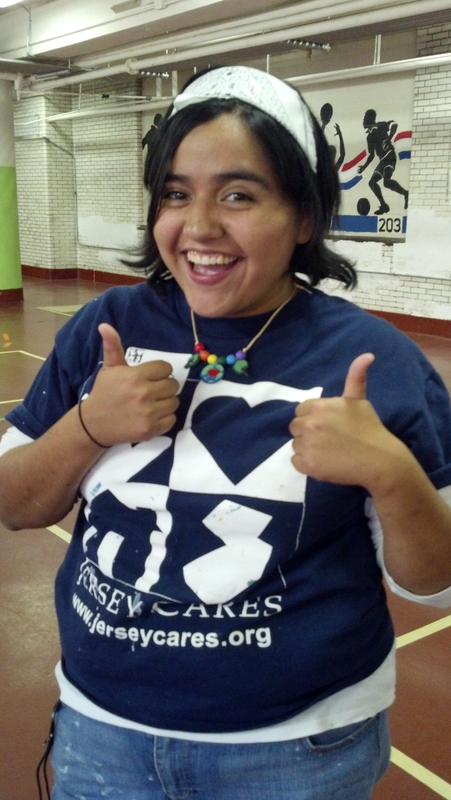 I started my second AmeriCorps term in September 2011 at Jersey Cares. I currently serve as the Corporate Service Coordinator where I work with the External Affairs department to create service opportunities for our corporate sponsors. At Jersey Cares, I have had the opportunity to be a part of and accomplish many aspects of event planning as I am involved in every step of the planning process. To start out the process of service projects, I go on site visits every week; I get the opportunity to meet up with non-profit agencies that we are looking to work with. I have the chance to tell them about Jersey Cares and we can discuss possible partnership opportunities. After doing a site visit I coordinate projects with our corporate sponsors at the agencies that I have met with. It always feels great to go back to an agency that you have worked at. 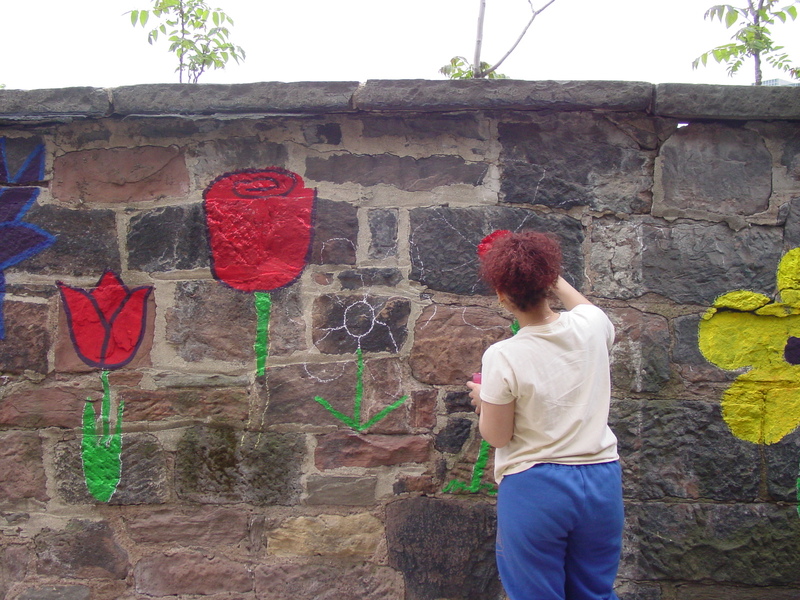 You feel a connection to the community, whether you went there on a site visit, you sketched a mural for a previous project, or you have staffed other projects there. I am glad I have had the opportunity to be an AmeriCorps. Over the course of two terms I have learned a lot of different skills and built connections with many different organizations. Even though I am still debating if I will serve a third term as an AmeriCorps, I am proud to have served the two terms that I have. When I began at Jersey Cares in September as the Annual Events Coordinator, I never could have imagined the things I would come to learn during my AmeriCorps term. As I near the six month mark, I can reflect on the things I have accomplished and can recognize that I have grown, both personally and within the realm of Jersey Cares. As the Annual Events Coordinator, I am charged with coordinating and organizing five events over the course of the year. 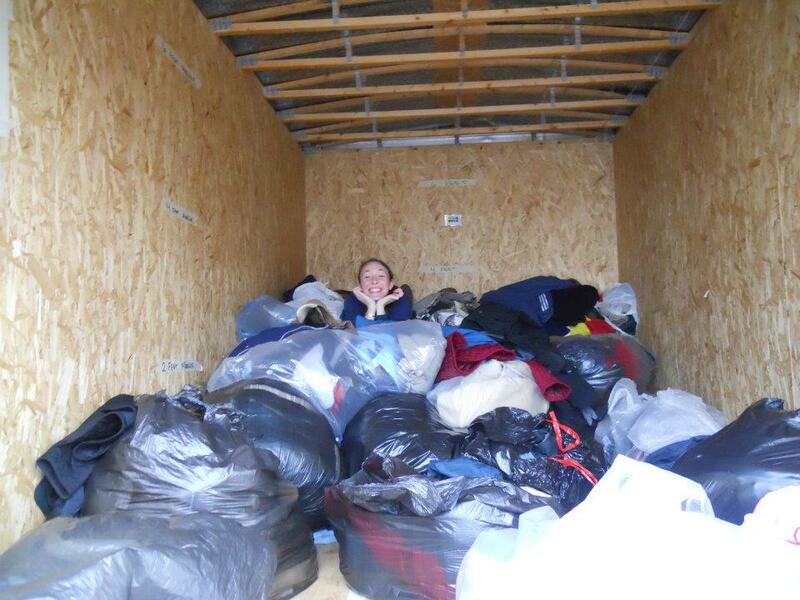 Within the first few weeks at Jersey Cares, I was knee deep in the 16th Annual Jersey Cares Coat Drive, working to distribute over 40,000 coats to individuals across the state. The coat drive took me to places in New Jersey that I have never been to and introduced me to such amazing people that I never would have had the pleasure of meeting. While planning these events and taking part in our monthly and corporate service programs, I have also had the opportunity to work with social media as a way to recruit, inspire, and involve volunteers in everything that Jersey Cares does. Being able to connect with people all over the country through these venues allows me to see that AmeriCorps does work and the people within AmeriCorps are the ones working to make this program successful. The partnership between Jersey Cares and AmeriCorps works to strengthen communities from the ground up. AmeriCorps members come from all walks of life to band together to promote volunteerism and a strong sense of community in the same way that Jersey Cares brings volunteers from all communities together to create a sense of oneness. With the help of Jersey Cares, AmeriCorps works.